Year: 2005. 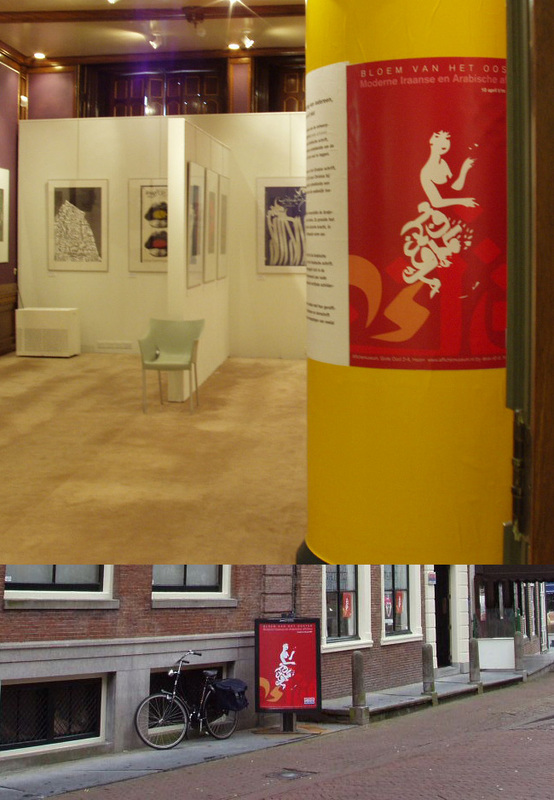 Client: Poster Museum, The Netherlands. 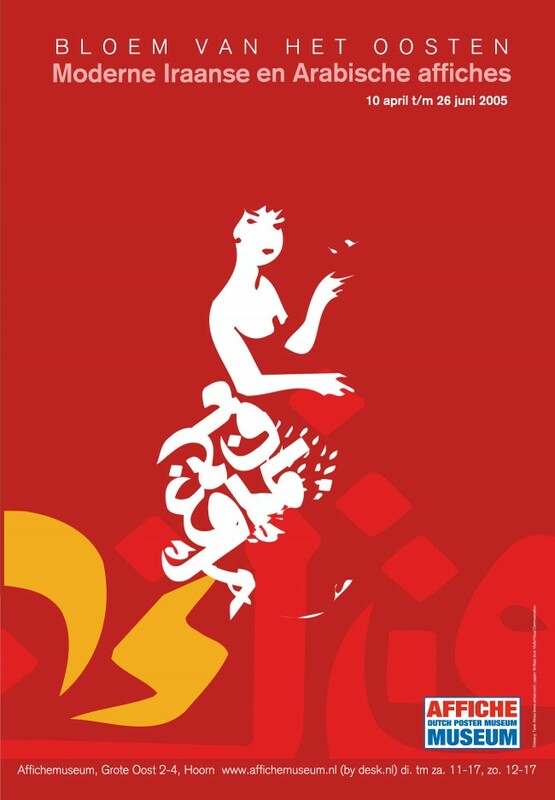 For the Poster Museum in the Netherlands (Affiche Museum, Hoorn), Tarek Atrissi Design designed a poster and full graphic image for the exhibition that took place in 2005 and that brought on display the largest selection of Arabic and Iranian poster design to come to the Netherlands to date. The exhibition was curated by Tarek Atrissi and by renowned Iranian design Reza Abedini. The typographic / illustrative poster was designed by mixing inspirations from popular cinema Egyptian graphics as well as old Arabic letraset sheets- and was featured in several design book and publications and was part of various design exhibitions around the world.